Pre-school and school-aged children who spent more time watching television got less sleep according to a study published in JAMA Pediatrics. Sleep is important and prior research has suggested that television viewing can cause irregular sleep habits. The American Academy of Pediatrics recommended in 2009 that children under 2 years avoid exposure to any media and that for older children time be limited to one to two hours per day. The authors examined the association between hours of television viewing and sleep in 1,713 children in Spain through parent-reported sleep duration. If you are kind, helpful and struggle to say no, people will always expect you to say yes unless you become more assertive. When you realise you’re giving all your time and energy to things you don’t want to do, it’s a problem. You can be lovely as long as you have a choice in it. Before any tricky situation, ask yourself, ‘Do I believe I have the right to say no?’ If you do, then put your needs first. Just remember, that doesn’t make you a horrible person. Your kids are perfect, right? They say «please» and «thank you» at the right times. They chew with their mouth closed. Wash their hands often. And they never, ever use potty talk. Well, at least that’s how you like to view them. Reality, however, paints a very different picture. It makes no difference who you are or how you raise your children. No matter what your race, nationality, financial situation, or location, there is one hard and fast rule: Kids are gross. Children will meet activity goals to earn rewards, but the extra effort doesn’t necessarily affect their weight and health, according to a new study. The findings reinforce earlier research showing that incentives work to get kids more physically active, but the goal might need to be more challenging to show any health benefits. «If I had to do it again I would do it at a higher level. It was too easy,» said Eric Finkelstein at the Duke-National University of Singapore, who led the new study. 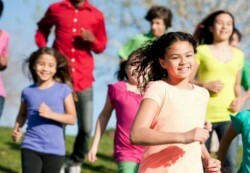 Inactivity among kids is a pressing concern in the U.S. and abroad. Does it seem like an effort to get your children to say anything to you besides, “Fine” and “What’s for dinner?” Lack of communication can make parents feel closed off from their own kids. Should one discipline one’s children by smacking them? This question has long been debated without reaching agreement. We could settle it by a controlled manipulative experiment: we’d assign England’s 47 counties at random to either of two sets: one set of 24 counties where parents are strictly forbidden to smack children; and another set of 23 where they are ordered to discipline kids by smacking. Thirty years later, psychologists could measure in which set of counties the resulting young adults are more creative, self-confident, law-abiding, prosperous, and happy. «Life outcomes for American youth are worsening, especially in comparison to 50 years ago,» says Darcia Narvaez, Notre Dame professor of psychology who specializes in moral development in children and how early life experiences can influence brain development. Parental Guidance marks one of those movies aimed at an oddly narrow demographic: grandparents. Not their kids or their grandkids, a common marketing strategy to lure both ends of the age spectrum with time to kill over the holidays. No, Guidance aims a sweet-if-silly bead squarely at the AARP-qualified generation. And while its senior stars do a terrific job capturing aging in a youth-crazed culture, Guidance drops the ball, in all departments, in its portrayal of anyone younger than 55.